If you do not need stepper motor or you want change bigger stepper motor like nema 23 ,nema 34 etc, please leave message to me, i will send new link for you. 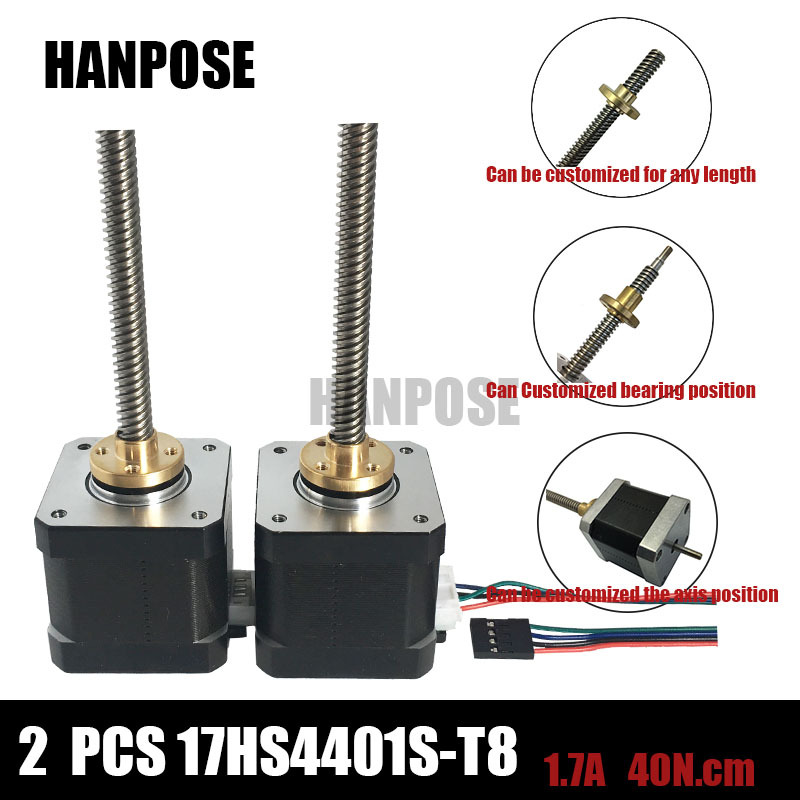 Above drawing is for 100mm stroke with nema 17 stepper,if you need 200mm stroke, it just add 100mm is ok.
​if you need neam 23 stepper, motor size is 56*57mm. Normal Express: We----Agent----DHL/FedEx----Customer. Package to DHL/FedEx total cost 3 days. Tracking number will come out in 3 day,If you need directly send to DHL/FedEx, it will save the 3 days, cost is 5~10 times of Normally. •Payment must be made within 48hours of the auction end time. •Please give us the opportunity to resolve any problem when you have,we concern your problem and we will try our best to resolve it.